Chicken Nuggets. Perfect for the family & kid friendly. Gluten free & dairy free. 1a. Arrowroot can be found in many grocery stores (usually in the “healthy foods” section). 1b. Begin by setting out 3 separate bowls. 2. In one bowl put almond meal. 3. In another bowl put : chicken seasoning, salt, pepper, water, arrowroot, and squeezed lemon juice. Mix together. 4. 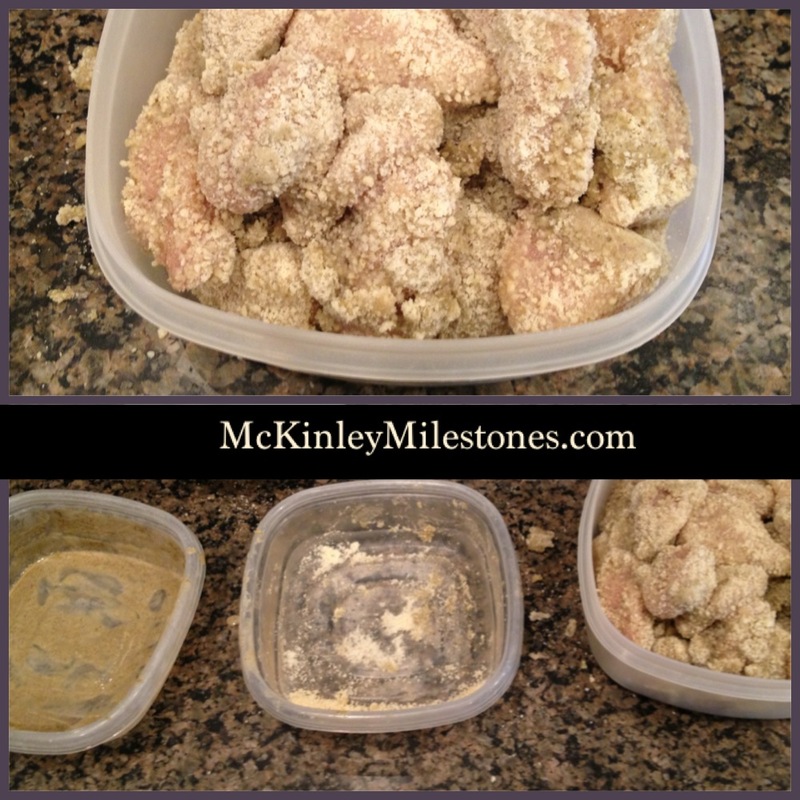 Cut up chicken into nugget sizes. 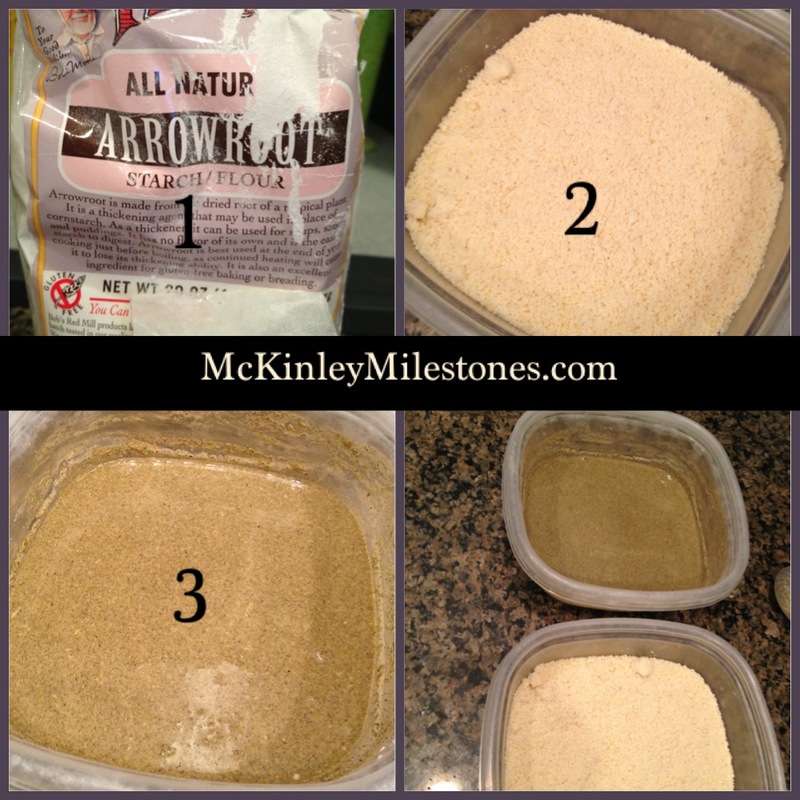 Dip into the arrowroot mixture then the almond meal, and then put into empty bowl. 5. Heat skillet-medium heat, add half of oil (you can use olive if you don’t have coconut). Put half chicken nuggets into pan and cook for 5 minutes on each side. Then add other half of oil and chicken nuggets to cook the rest. 6. Serve with sweet potato fries and dipping sauces.